WSOP announced Wednesday the official date for the start of this year’s edition of the WSOP Europe. The thrilling poker festival will take place from October 11 through November 2 and will feature ten gold bracelet events. King’s Casino Rozvadov will play host to one of the largest poker events on the 2018 tournament poker calendar, just as it did last fall. The gaming venue is located in the Czech town of Rozvadov, right on the country’s border with Germany. After a series of renovations and upgrades, the casino now features Europe’s largest poker room and is a preferred host to some of the largest live poker festivals. Last year, WSOP inked a multi-year deal with King’s Casino to have the popular gaming facility host WSOP Europe. Expectations are now high for the upcoming festival as it turned out to be a great success last fall. WSOP distributed more than €25 million in prize money to a total of 7,689 tournament entries across 11 events. Spain’s Marti Roca de Torres topped the field of the €10,300 Main Event last November to capture his first WSOP gold bracelet and €1,115,207 for his efforts. The player outlasted 529 entries to collect the largest payout from a €5,025,500 prize pool. We have official dates for the upcoming WSOP Europe and we know that interested players will be given the chance to participate in ten gold bracelet tournaments. 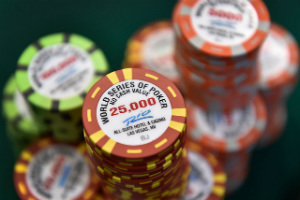 WSOP is set to unveil more details about the festival in the months to come. 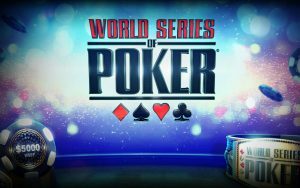 While the WSOP Europe is nearly half a year away, the time for the summer WSOP festival in Las Vegas has nearly come and organizers are gearing for the 49th edition of the longest-running live tournament poker series. News will be springing up about the festival in the weeks to come. The latest wave of announcements brought information that WSOP has decided to roll out the Big Blind Ante format during the upcoming 2018 edition of the series after testing it out in various WSOP Circuit events. Eight of the events during the 2018 WSOP will feature the new format, including the $100,000 High Roller, the $50,000 High Roller, and the $1,000,000 Big One for ONE DROP. In this format, the ante is an amount equal to the Big Blind which the player in the Big Blind has to post. Thus instead of paying a specified amount each hand, each player now has to pay a specified amount each round. The WSOP explained that players thus no longer have to remember to post the ante each hand and dealers no longer have to go around and collect the ante from each participant at the table. The format is intended to speed up action at the poker tables and allow players to play more hands within each level.